Have you ever wanted to be like Mike? Now you can! 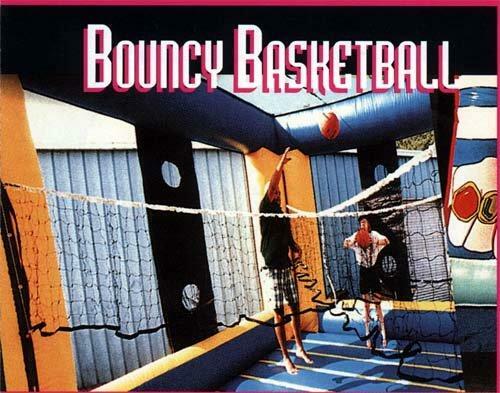 A giant air-filled court allows 4 players to bounce around slam-dunking in any position you want, and you don't have to worry about the landing, you'll just bounce back-up!